In today’s world, mobility and security are paramount—and you can’t have one without the other. Microsoft’s OneDrive is seen as a common solution in this arena, providing the flexibility to store files and photographs and access them across a range of devices. But might there be OneDrive alternatives out there that can outperform this service—and if so, how do we find which one is the right one for you? To answer that question, we have to address the nature of Cloud Syncing. Simply put, enabling cloud-based business apps is a way to automatically backup your most important files. 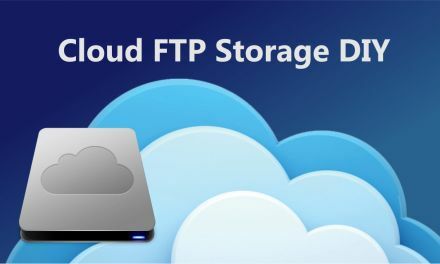 This accomplishes two things: first, remotely storing your files enhances your security because it means that you don’t have to rely on any one source for your systems. Second, it makes your files easy to reach even if you’re using a new device or are travelling on business. 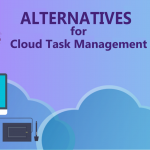 You can also check out our list of Dropbox alternatives to find out interesting ways of handling your cloud syncing. In this context, OneDrive is a very easy method of storing your files so you can have them even if your current computer crashes. But is it the best one out there? 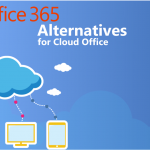 We’re going to compare it with other cloud syncing services to find the OneDrive alternatives worth checking out. We’ll also do direct comparisons when it comes to price and features so that you can get a better idea of what each service offers along the way. 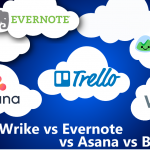 Why do we choose 1TB cloud sync for price comparison? To facilitate these direct comparisons, we’ll look at OneDrive for Business’s 1 TB plan. Why pick this plan? 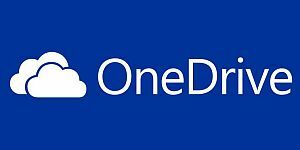 As the basic plan for OneDrive, it provides the necessities you need at the least expensive price, which is fine for someone starting out with cloud syncing. If you’re looking for alternatives right now, you might find yourself in that exact situation. 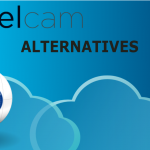 Secondly, choosing a specific plan for comparison allows us to directly contrast OneDrive alternatives with this plan, which gives us concrete issues to point out as we weigh the positives and negatives of each one. Fully integrated with other G-Suite apps. Collaborate on folders and files using Google Docs. 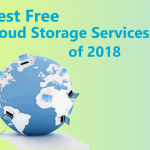 One of the most appealing items on this list is Dropbox, which offers a surprising amount of features on its free version. Upgrading, of course, expands these features tremendously, which in turn continues Dropbox’s offerings. 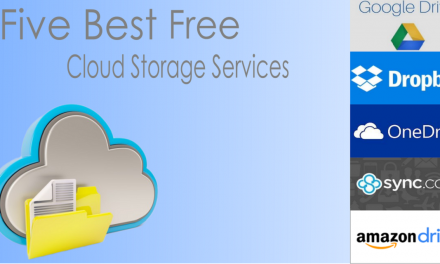 It’s a great service for those who need to use cloud storage for personal file storage, but it’s perfectly suited for business as well. Because the pricing and overall storage is so similar, we can’t dock Dropbox any points when it comes to the charge of users per month or how much storage you’ll get. That makes it a direct alternative to OneDrive. But throwing in the other features is how Dropbox shines in this comparison. 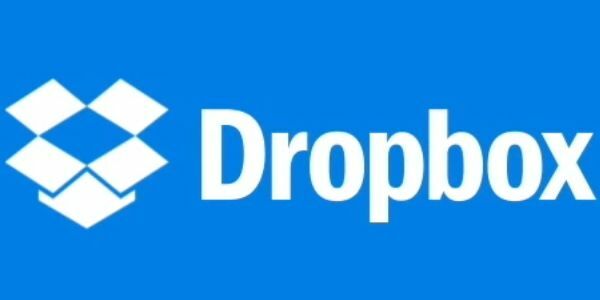 The syncing and mobile use on Dropbox is seamless, and there are plenty of administrative tools if you have to manage files for a range of people rather than just yourself. If you’re thinking about a different option here, you can do a lot worse than utilizing Dropbox’s fair pricing and robust features. Although you won’t get a discount here over OneDrive, you just might find that the functionality offers more bang for the buck. Among the most prevalent alternatives is a brand everyone’s heard of: Google. Because everyone and their grandmother already has a Google account, making the turn over to Google Drive is seamless and easy. But what about the file storage platform itself—not simply its connection to other accounts you already have? 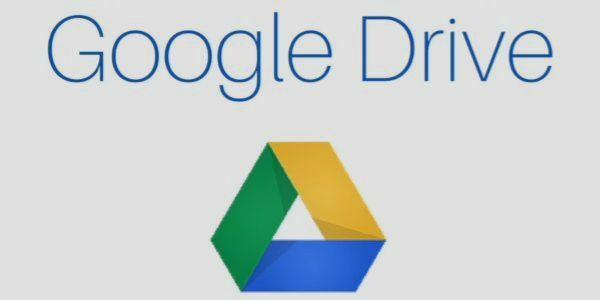 Here, Google Drive does just fine, providing the same 1TB of storage space and the robust features you should expect from a quality cloud sync storage platform. One problem here, however, is the price. 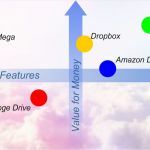 It costs about double what Dropbox and OneDrive will cost you, which means that even if you like the convenience, there is a strong likelihood you won’t need to use Google’s storage whatsoever. It’s perfectly easy to set up syncing with Dropbox or OneDrive that will work just as well and seamlessly—and for about half the price. 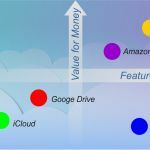 While Google Drive is a perfectly valid alternative to either system, the price should make you hesitate about selecting it over the other options on this list. Do you get what you pay for? Google’s strong search engine is always a plus, and pointing that search toward your own files can be great. But for double the price, be aware of how much you’ll end up using cloud syncing. Like Google, Amazon is probably familiar to you. 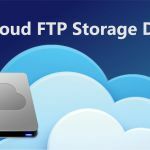 Many of you reading this might even be customers of Amazon Prime, which in turn provides cloud storage benefits you might not have been aware of. That makes signing up to Amazon Drive very enticing for those online shopaholics who live and die by Amazon’s services. But is the cloud syncing up to par? Amazon Drive doesn’t feature specific plans but instead allows you to purchase based on how much storage you need. The comparable price for 1 TB of storage—so far the norm on this list—will cost the expected $5/user/month. 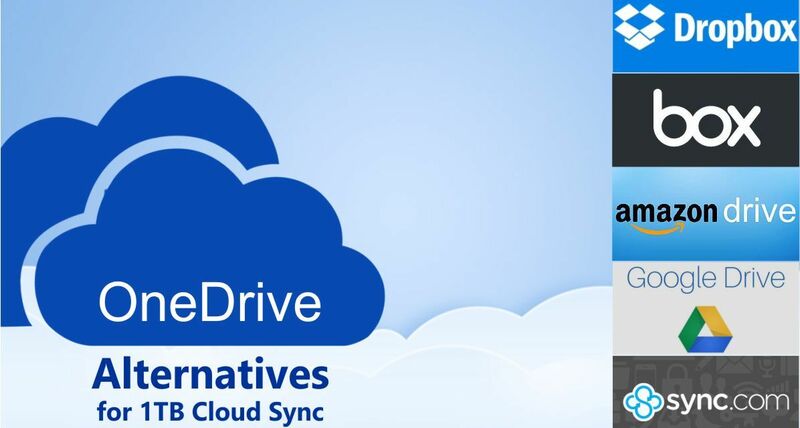 Because that’s perfectly in line with what we’ve seen from Dropbox and from OneDrive, Amazon Drive can join those other offerings as a perfectly valid and easy-to-use cloud syncing option. 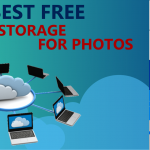 If you already host photographs on your free version of Amazon Drive, this may be the most logical step for those seeking enhanced cloud storage. On its face, there’s nothing that really demands that you separate Amazon Drive from the rest. It will perform well and your Amazon Prime membership may even help you enhance the features offered here. Finally we arrive to the last one on the list, and there are some legitimate complaints here. Although the basic service offering available at Box.com is just fine—you won’t lack for any of the major features you’re looking for here—the pricing and the storage is just off. We had to pick the “Starter” pricing plan for this purpose because of its pricing similarity to the other offerings…but you’ll find that the 100GB in storage offered by this plan is simply not up to par. At $15/user/month for unlimited storage, you can find plenty of storage if need be, but the price increase essentially makes it a different pricing tier from what we’ve seen thus far. Yes, you can get more storage, but that requires moving up the plans into the second and third tiers. At that point, Box.com is no longer comparable to the entry tiers you’ll find in the other offerings on this list. 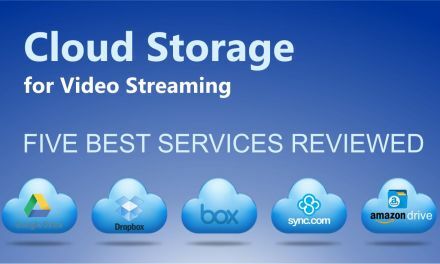 For that reason, although Box.com is certainly a OneDrive alternative worth considering, you should likely put it on the backburner for now as you compare the more affordable offerings for cloud syncing. In short, if pricing is important to you, then you’ll want to stick with Dropbox or Amazon Drive. If customer support is important, then you’ll likely either pick Amazon Drive or OneDrive. If you or your company are using G-Suite extensively, then Google Drive is your logical choice. 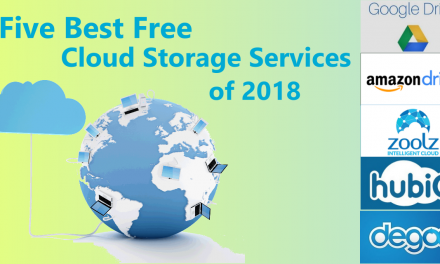 Dropbox is great for people with simple storage needs and will be a viable alternative that holds up against any of the other heavyweights on this list. 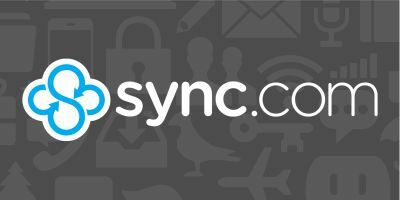 Sync.com should be considered a backup from these, and Box.com is great if you want unlimited storage and are willing to pay for it. 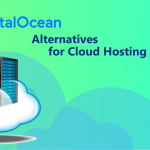 Otherwise, you’ll want to stick with the more mainstream alternatives for your cloud syncing needs.